I have taken to supplementing my recent writing about pitchers with pictures of their grips for different pitch types. One thing I have come to realize is that while a picture is worth a thousand words, a catalog of pitch grip images quickly becomes unwieldy for search and comparison among pitchers. For this task, a table of quantitative descriptions of each pitchers’ pitch grips would be desirable. For a single given pitcher, four or five selected images still provide the most accurate and easily understood way to communicate how he grips the baseball. But if I want to know how his four-seam fastball grip compares to the fastball grips of other pitchers in the league, a digital record is needed. This is the simplest portion of the description, and has two facets. The first is straightfoward: Does the pitcher hold the ball in his right or left hand? For this method I made the astounding innovation of using the uppercase letters R and L to record this information. The second is more subtle and something I have not yet fully explored: Is the ball held mainly by the fingers and away from the palm, as is typical for a fastball, or is it held against the palm and possibly buried deeply into it, as is typical for a change-up? I use “0” to indicate the ball held against the palm and “1” for the ball held mainly by the fingers. On its face, this distinction is fine and helpful, but it turns out that there is a continuum of positions in which the ball may be held relative to the palm. I have not explored whether a more fine-grained record of the baseball position relative to the palm is helpful. In practice, it is often difficult to ascertain from game photos how closely the ball is being held to the palm. The pitcher’s finger position is usually obvious for more than one finger even from one medium-resolution photo showing the hand from any angle. One can usually guess the position of the unseen fingers fairly accurately, and with a photo from a second angle, their location can be definitely established. However, to determine the position of the ball relative to the palm requires either a photo that shows both the thumb and index finger from a side view or a photo where the thumb, pinky, and palmar side of the wrist are all visible. The meat of the pitch grip description is in which fingers touch the ball, how they contact the ball, and where on the ball they touch. In this section, we’ll address two of those three pieces—naming the fingers and describing their contact with the baseball. I considered using letters to identify the fingers but settled on using numbers: 1 = thumb, 2 = index finger, 3 = middle finger, 4 = ring finger, 5 = pinky. For a polydactyl like Antonio Alfonseca, use the number 6 if you want, and our description of Mordecai Brown will have to make do with one fewer digit. The fingers can touch the baseball in variety of ways, or not at all. I have chosen to denote these positions with lowercase letters: p = finger pad, t = finger tip, k = outside of the first knuckle, s = side of the finger’s distal joint, n = side of the finger’s intermediate or proximate joints, o = off the ball. As we discussed with the palm, there can be variations or hybrids of these positions, but I found these categories to be fairly useful nonetheless. If the distal portion of the finger was off the ball and none of the knuckles or sides of the knuckles of that finger were pressed against the ball, I recorded the finger as being “off the ball” even if the inside (palmar) portion of the finger’s proximate joint was touching the ball. I considered that this finger applied little force to the ball, and in addition, it would have been difficult to assign a specific location to the contact for that finger. Identifying where on the ball the fingers touch requires some way to describe points on the surface of the ball. The ball is approximately a sphere, with as its main feature one continuous stitched seam that joins the two bispatular halves of the leather cover. The baseball typically also carries some inked markings denoting the manufacturer and league, but I chose to ignore these since they are invisible in the vast majority of available pictures, they may vary for leagues at different levels, and they are irrelevant to the forces the pitcher applies to the baseball. Typical descriptions of pitching grips, which are rare online outside of this fantastic site by Steven Ellis, talk about the horseshoe portion of the seam or the narrow parallel seams. That’s workable as a description accompanied by pictures, but it is inadequate for a more detailed digital record. Because the seam is the singular feature on the baseball, and one with interesting topological properties and symmetries, I considered some sort of notation that recorded the finger position relative to the seam. However, I discarded this approach when I found that the terminology I began to build around it was confusing and difficult to digitize. Instead, I chose the spherical coordinate system. I located the origin at the center of the baseball’s core. I chose a z-axis extending outward though the point halfway between where the narrow parallel seams come closest together. The x-axis extends outward approximately through the center of the horseshoe seam on the same piece of leather as the z-axis. The y-axis extends outward approximately through the center of the horseshoe seam on the other piece of leather from the x-axis and z-axis. In this coordinate system, the elevation angle (i.e., latitude) is the angle above the x-y plane (the equator), and the azimuth (i.e., longitude) is the angle within the x-y plane relative to the x-axis (at the prime meridian). This description would be incomplete and harder to comprehend without some concrete examples of pitching grips and their corresponding notation. Let’s take a look at pitcher with a pretty simple repertoire, Detroit Tigers closer Jose Valverde, and see how we would denote his pitch grips using this system. There are going to be a lot of these lists in this article. I apologize in advance; I know they don’t make for riveting reading. If I could figure out a better way to explain this topic without all these examples, I’d do it. I’m also interested in suggestions for making the notation more compact. The angles listed are accurate within 10 degrees at best, more likely 20 degrees in most cases. Ten degrees around the nine-inch circumference of the baseball corresponds to a quarter inch. The preceding description of his fastball grip tells us that he holds the ball in the fingers of his right hand, not buried in his palm. His thumb has its pad contacting the ball close to the center of a circle proscribed by one of the horseshoe seams. 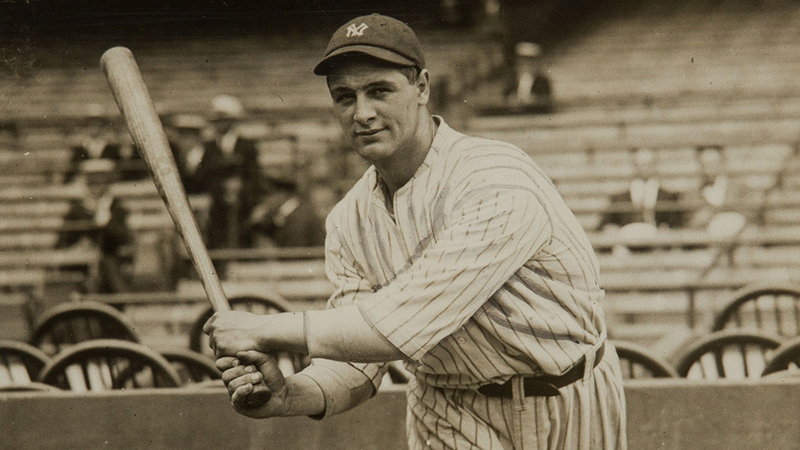 The pads of his index finger and middle finger are also touching the ball along the seam on the opposite side of the ball. The side of his ring finger is along the ball about a quarter circle away from his thumb, and his pinky is off the ball. Here are a few other views of this grip. It turns out that Valverde actually has several minor variations of this fastball. The most common one is when he lifts his middle finger off the ball. Here are two more views of this fastball grip. And once again, our quantification of it. He also has been observed to lift either his index finger or both the index finger and middle finger off the ball. Presumably Valverde is making these small adjustments to alter the angle of the spin he imparts to his fastball. I have not been able to identify these fastball variations separately from one another in his PITCHf/x data. Valverde is noted as a smart pitcher, so perhaps all these minor grip adjustments are him looking for an edge against a batter by changing the movement on his fastball. Valverde’s second pitch type is a split-finger fastball. He uses a fairly standard splitter grip, though he typically turns it a little bit in his hand so that his middle finger lies along a seam and his index finger does not. Here are some other views of this grip. As with his fastball, he occasionally makes some minor adjustments to his splitter grip. It’s difficult to get as good a feel from photographs for what he is doing with fingers on the ball for his splitter since it’s rare to see both fingers and the adjacent seams in a single photo. However, I have observed a least two distinct variations from his normal splitter grip. The first variation is when he puts one seam halfway between his index and middle fingers. The second variation on his splitter is when he puts his index and middle fingers both along or just outside of the parallel seams. Now that we’ve examined the full repertoire of one pitcher in detail, let’s take a quick look at some of the other basic pitch types. Let’s begin with the classic four-seam fastball grip, as demonstrated by Felix Hernandez. The grip that Felix Hernandez uses is the typical one for the four-seamer, but Justin Verlander shows us a variation that lets me demonstrate the symmetries of the recording system. 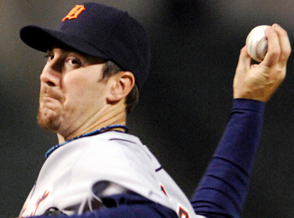 Verlander’s grip is a quarter turn from Hernandez’s grip; thus, the angles move by 90 degrees. Next, Derek Lowe demonstrates his two-seam sinking fastball grip. Johan Santana demonstrates his change-up grip for us. Speaking of which, the New York Times has a great article about Santana’s pitching approach and the development of his change-up. Santana’s grip is a variation on the traditional circle change grip. The traditional slider grip is shown by Ervin Santana. 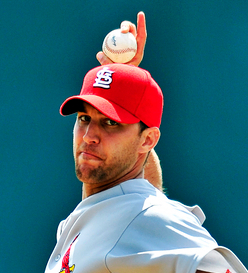 Adam Wainwright displays his curveball grip. It’s not quite a standard curveball grip in that his index finger is completely off the ball. 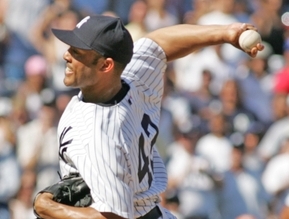 Most pitchers lay it down alongside the middle finger on the ball. The middle finger position is what’s important for the curveball grip, as the middle finger grabs the seam to torque the ball and apply topspin. Steven Ellis calls Wainwright’s grip the “beginner’s curveball.” Beginners take note, and some day your curve may be as good as Wainwright’s. 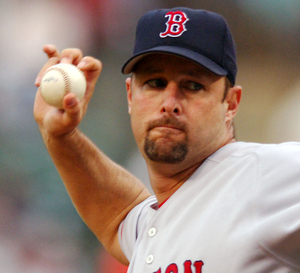 Finally, no discussion of pitch grips would be complete without Tim Wakefield’s knuckleball. Understanding pitch grips is a key part of understanding the physics of how pitchers make the baseball move and of accurately classifying pitch types. Until now there has been no systematic method for recording pitch grips. I have proposed such a method and am open to suggestions for improvements. 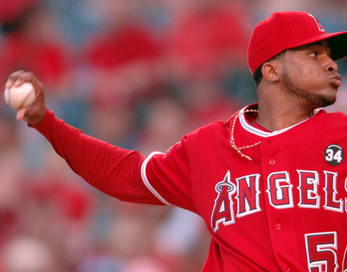 We’ve also discussed some basic pitch grips and looked in detail at the various grips of one pitcher, Jose Valverde. Whether this leads to an extensive catalog of pitch grips is still an open question for me. There would be a lot of effort involved, obviously. In any case, I hope the discussion of my method is a helpful introduction and serves as an impetus for further conversation. The title is an homage to Gene Weingarten’s article about journalism. Thanks, Mike. I don’t know whether batters can pick up on the grips or not. I doubt it because I think most major league pitchers hide the ball too well for that, but I’m not sure. Just an awesome article, Mike. Very well done. As a person who is getting more into PitchFx, these articles just add to it.